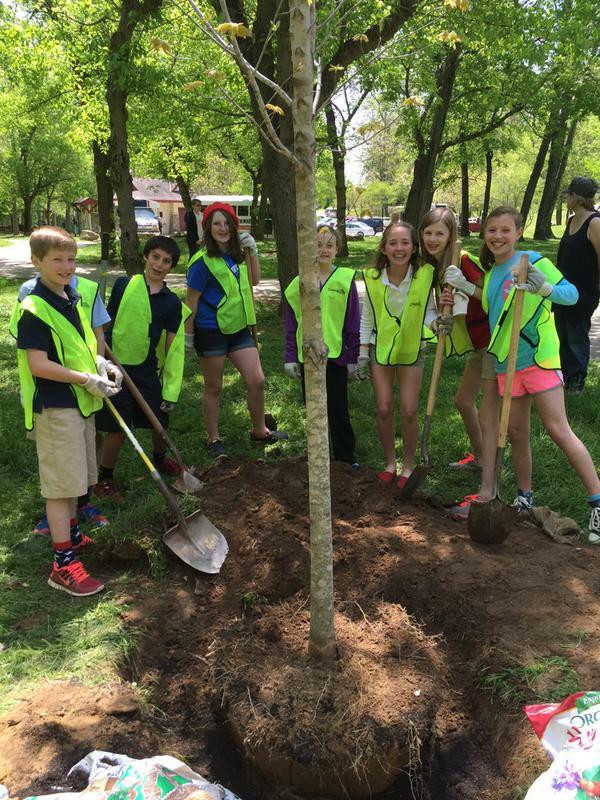 Carolina Day School has been named a NC Green School of Excellence for 2014-15 by the NC Green Schools Program. The NC Green Schools Recognition Program recognizes North Carolina Pre-K/12 public and private schools that encourage cultures of sustainability in five designated areas: culture and community, school sustainability, healthy schools, curriculum integration, and innovation. The NC Green School of Excellence is the top level of recognition awarded to schools showing the highest level of commitment to a sustainable campus and environment education curriculum. Eight schools were recognized for their efforts in 2015, but only Carolina Day School and two others were given the NC Green Schools of Excellence award. “The faculty at Carolina Day School is open to environmental stewardship through activities like free play in nature during recess, educating with hands on experiences, and responsible resource management via recycling,” said NC Green Schools Program Director Katie Cavert Ferrell. “What I observed in the school's application is a commitment to sustainability far greater than I had imagined. We are very proud to recognize Carolina Day as a NC Green School of Excellence." 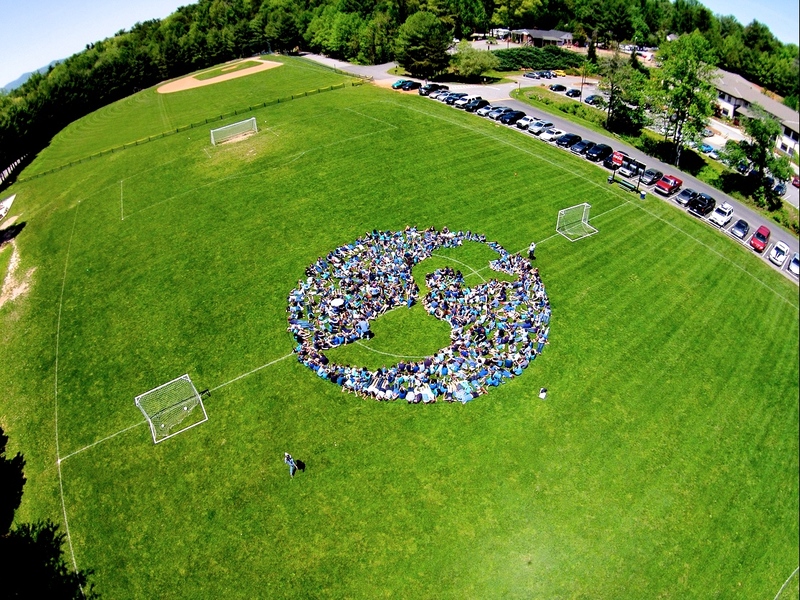 Carolina Day is committed to working together to implement sustainable practices. Seven years ago, Carolina Day created a sustainability committee to represent all four divisions, parents, and administration. This committee meets each trimester and works on green goals for the whole school. In 2009, Carolina Day made it a priority in its school improvement plan to focus on environment and sustainability. The school has made tremendous progress in this area, as shown by creating the sustainability committee, providing professional development for faculty, serving with local environmental groups, and committing to daily recycling and composting. Carolina Day shows its commitment to making the school a healthier place by building and utilizing outdoor classrooms. Each division has created gardens and a natural area with river stone was built for the Lower School. Each division includes nutrition and health in the curriculum and encourages students and faculty to join the 100 Mile Club to track walking and hiking. Environmental issues are discussed in many venues, not just in science classes, though students can go more deeply in the sciences. Students work on solar and hydroponic gardens. They make solar ovens and help sea turtles in Costa Rica make it back to the ocean. They plant vegetables from seed and nurture the plants until they bear fruit. This past year, they created a phenology lab and a salamander study area on campus. Annually, Pre-K students watch monarch butterflies grow from caterpillars to adult butterflies, and recreate their migration to Mexico by “flying” around campus collecting nectar. Carolina Day also uses innovation in capital projects and campus improvements. Instead of constructing a new Lower School from scratch, the original 1956 building is being “up-cycled.” With innovative ideas to save energy and improve air quality, construction on the new building is underway and will be completed in June 2016. "Thanks to the dedication of our sustainability committee, and input from all areas of CDS, we were able to document the wonderful things we are doing to try to be a greener place and educate everyone in ways to appreciate our natural world, and take care of it,” said Marbie Kollath, CDS faculty and chair of the sustainability committee. “We hope to further this work in the future." For more information about Carolina Day School, its pre-kindergarten through twelve independent day school program, call 828-274-0757 or visit carolinaday.org.